The iPhone 6s Plus and the Galaxy S6 edge+ are technological triumphs for the giants who made them, Apple and Samsung. Both devices compete in the same category, that of phablets, which has been enjoying immense popularity lately. They prominently feature the best design, screen, processing, and camera technology their creators could come up with at this point in time. They are high-end smartphones every inch of the way, and it is the existence of devices like this that makes smartphones so exciting in the first place! Let's have a look over and under the hood of these pieces of engineering brilliance. They are vastly different, but they have the same high ambition of providing the best user experience possible. 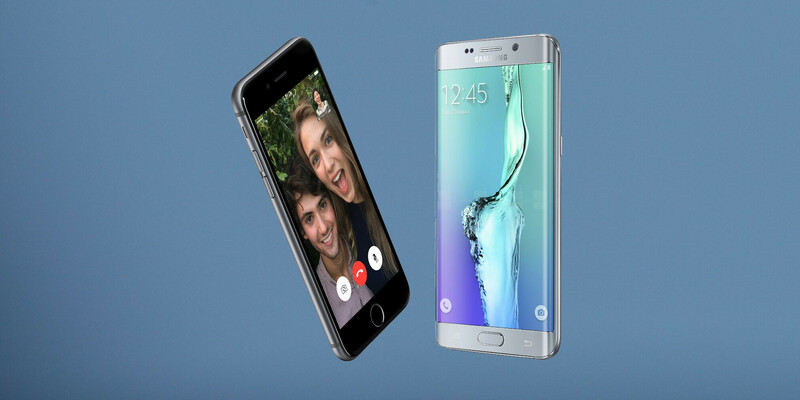 The S6 edge+ and the iPhone 6 Plus are among the handsomest phablets in existence! Not that there aren't other quality big screen phones out there, but these two are head and shoulders above their peers! And even if you don't fancy the S6 edge+'s curved screen, or the iPhone 6s' sleekness, you'd have to try really hard to downplay their impeccable looks. The Galaxy S6 edge+, even if it's merely an oversized S6 edge, makes for quite the showpiece with its dual-edge curved screen and tight metal and glass build. It's so flashy, it makes the iPhone 6s Plus, which is all Series 7000 aluminum, appear understated in comparison. 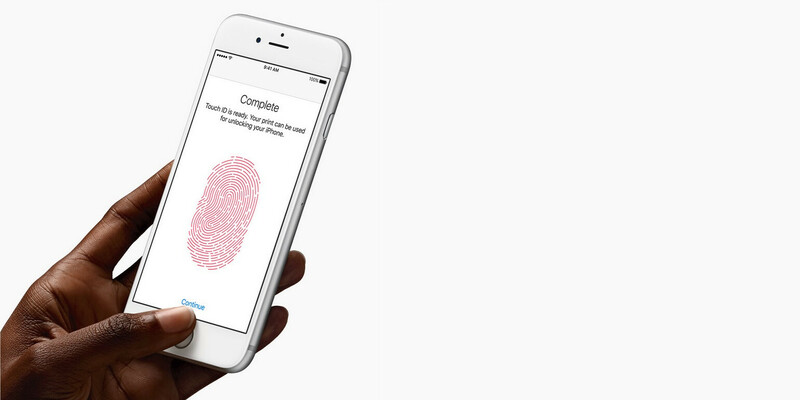 Then again, Apple's phablet isn't such an unapologetic fingerprint magnet, either! The topic of Series 7000 aluminum might be worth expanding on a bit, if you're interested in how it makes the iPhone 6s Plus stand out. This is a different alloy that combines aluminum, zink, and magnesium for a significantly tougher, but also harder to work with material. Apple altered the recipe in unspecified ways, creating a composite 60% stronger than most aluminum at one-third the density of stainless steel. The stuff is also used in the Apple Watch Sport and the iPhone 6s. Nearly everything found on the S6 edge is present on the S6 edge+, including the handy fingerprint sensor, heart rate sensor, rapid charging microUSB 2.0 port, and built-in wireless charging. Save for the fingerprint sensor, which is equally easy to use on both, none of these make an appearance in the iPhone 6s Plus. Then again, we'd like to note that rapid charging and fast wireless charging would make for welcome additions to the iPhone. The absence of SD card slots and removable batteries is what Samsung and Apple's phablets have in common, much to the chagrin of power users. Another thing is the solid all-around construction, thanks to the choice of premium materials and serious design effort that went into putting them together. Despite having a larger, 5.7-inch display, the Galaxy S6 edge+ is the smaller smartphone, at 6.08 x 2.98 x 0.27 inches (154.4 x 75.8 x 6.9 mm) and 5.40 oz (153 g) of weight, while the iPhone 6s Plus, which has a 5.5-inch screen, measures 6.22 x 3.06 x 0.28 inches (158.1 x 77.8 x 7.1 mm) and weights 6.07 oz (172 g). Still, while the S6 edge+ is better proportioned, it isn't necessarily more comfortable to hold. 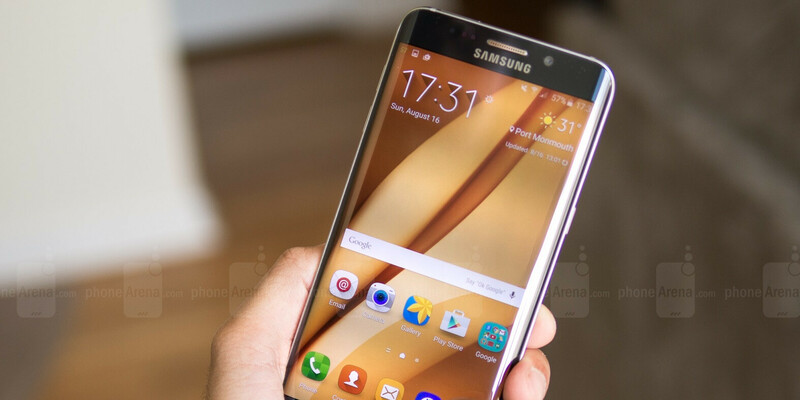 With its 5.7-inch, 1440 x 2560 resolution Super AMOLED display, the Samsung Galaxy S6 edge+ has an upper (and a quite literal) edge on the iPhone 6s Plus, which has a 5.5-inch IPS LCD screen of lower 1080 x 1920 resolution. It has to be noted, though, that the exceedingly high Quad-HD resolution is still of questionable purpose in this day and age. In practice, the iPhone 6 Plus's screen does not look any less sharp, even though Samsung's display has a pixel density of 518 pixels per inch, whereas Apple's racks up 401ppi. The difference can be spotted in that tiny details and graphically elaborate characters, such as hieroglyphics, seem ever so slightly sharp. While we don't have the proper screen measurements right now, we've come to know Apple over the years, thus we expect the screen on the iPhone 6s Plus to be virtually unchanged from the one before it. We remember it for a tolerably cool color temperature, great brightness levels, a nicely evened out color balance, a near perfect gamma response, and fantastic viewing angles. It is these characteristics, and not obscenely high pixel counts or super wide color gamuts that make for a high quality display, though we don't have anything much against the latter! To its advantage, the Galaxy S6 edge+'s Super AMOLED display commands great brightness levels, a color temperature close to neutral, a very good gamma response with a tolerable bump in contrast, and a very correct color balance. It's a display of high quality, one among the best in its class, and it also happens to be curved in an interesting way. Great as it is, though, the S6 edge+'s display exhibits weird color distortion under tilted viewing angles. It's one of the few areas of improvement left for Samsung's display specialists. 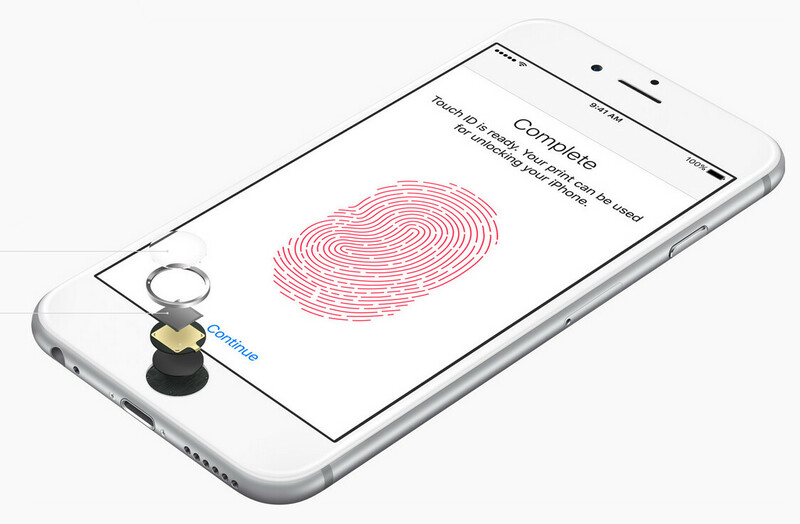 A key differentiation between the two phablets is the addition of Force Touch technology in the iPhone 6S Plus. Borrowed from the new MacBook's trackpad and the Apple Watch before it, the technology relies on tiny electrodes surrounding the display that let users deliberately choose between a light tap, a press, and a "deeper" press, triggering a range of specific controls. In the Apple Watch, we saw how pressing firmly on its screen brings up additional controls in apps and allows for additional interaction. Right now, the technology is merely being toyed with and emulated by other manufacturers, such as Huawei, but as a the first new frontier in interactive surfaces since multi-touch, its potential could expand to building fingerprint sensors and other interactive elements inside screens. What's of particular interest about the phablets is that they both accomplish superb performance with very different hardware components ticking inside. It comes down to Samsung and Apple's mentalities being polar opposites. Samsung is the one that basically started the Android technological arms race, one-upping its competitors' and introducing advanced new features the very moment it's ready to mass-produce them. Apple does a very different thing — it goes for significant hardware upgrades only if they bring tangible, marketable user experience improvements to its products; and including this technology isn't cost-prohibitive. With this in mind, let's compare those differing spec sheets! The Galaxy S6 edge+ is densely packed with hi-end guts! It ships with the latest Exynos 7420 system chip, made using the industry-leading 14nm FinFET process in Samsung's foundries. The CPU running the guns here is an octa-core one, with four Cortex A57 cores clocked at up to 2.1GHz, and four more power-efficient A53 cores clocked at up to 1.5GHz. This artillery of CPU is complemented by the ARM Mali-T760 MP8 GPU, 4GB of LPDDR4 RAM, and the UFS 2.0 storage technology that's capable of downright excessive reading and writing speeds. The iPhone 6 Plus comes with the Apple A9 system-on-a-chip, largely made in the same Samsung fab on a 14 or 16nm process. The design is assumed to be a quad-core one, with two cores clocked to 1.7GHz and the other two at 1.2GHz. It has an unidentified PowerVR GPU and 2GB of LPDDR4 RAM keeping it company. Some early benchmarks that originate from a Chinese source suggest that the A9 enjoys an around 19% jump over the A8, and a 6% improvement over the A8X in single-core performance, in addition to a 69% multi-core improvement over the A8 (8% from the A8X). That sounds like a steady growth in processing power, certainly in the ballpark of what could be expected of Apple. Storage-wise, the Galaxy S6 edge+ comes in 32GB and 64GB flavors, while the iPhone 6s Plus is sold in 16GB, 64GB, and 128GB configurations. The advantages of UFS 2.0 flash technology are unquestionably there, from a technological perspective, but those outrageous speeds don't result in the Samsung phablet actually feeling all-around faster than the iPhone 6 Plus, and in all likeness, the iPhone 6s Plus. Good old eMMC still has plenty of life left in it, so don't judge Apple harshly for sticking with a proven and cost-effective solution. After all, Samsung made UFS mostly so it could sell it to its memory chip clients, while Apple isn't in the business of dealing raw hardware. On the connectivity side of things, the Galaxy S6 edge+ supports 4G LTE with a staggering amount of support for various bands. It's also got MIMO (2x2) antennas for improved reception and dual-channel Wi-Fi, as well as NFC, Bluetooth 4.2 with support for the low energy profile, and positioning via GPS, Glonass, and the Beidou systems. Meanwhile, the iPhone 6s Plus is available in both CDMA and GSM flavors, coming with VoLTE support for wideband high-quality calls. Not only is the call quality enhanced by this, but it also permits simultaneous voice and data connections. That's a feature of the Galaxy S6 edge+ as well, though. The iPhone 6 Plus also has a GPS with Glonass and Bluetooth 4.0 LE, along with Wi-Fi 802.11 ac and NFC. Samsung has traditionally been a company that offers one of the best cameras in the Android realm. 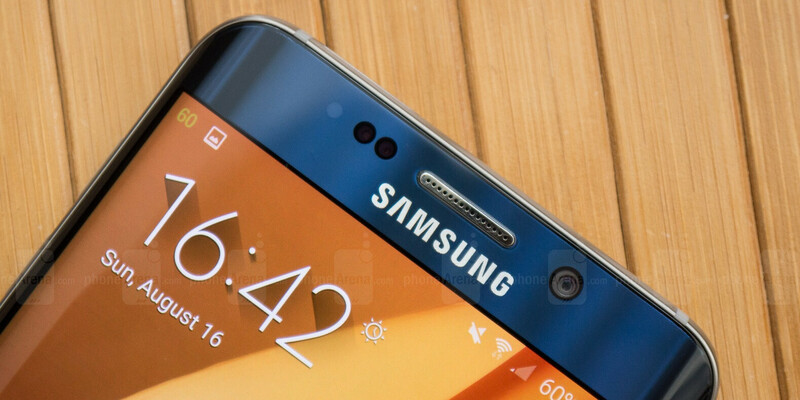 It aims to continue this tradition with the S6 edge+, using a very similar 16-megapixel rear cam and a 5-megapixel front cam, the ones we know and love from the Galaxy S6 edge. Both cameras feature wide, f/1.9 aperture lenses, which is a good asset if you care about collecting more light and getting good pictures in the dark. The iPhone 6 Plus' camera setup was somewhat aged upon the handset's very reveal, so an upgrade in this important category was long due. And Apple finally delivered — a restrained, but certainly well thought-out 12MP rear camera bump (up from 8MP), and a comparatively generous increase to 5MP for the front cam (from just 1.2MP). Photo quality improvements aside, the most notable new addition is 4K (3840x2160) video recording, which puts the iPhone's camcorder on par with Android flagships. Both phablets have their camera sensors sourced from Sony. While we have a pretty good understanding of what the Galaxy S6 edge+ is capable of, there's little that we know about the one on the iPhone 6s Plus at this point, other than that it incorporates RGBW subpixel technology for better low-light performance. This tech uses an extra white (W) subpixel, arranged alongside the RGB sub-pixels, to compensate for the smaller-sized pixels in the sensor. We've seen a sensor of this type in action with the Huawei P8, and we came off pretty satisfied with the way it handled itself across different scenarios. However, RGBW itself didn't make for stand-out photographic performance in any regard. 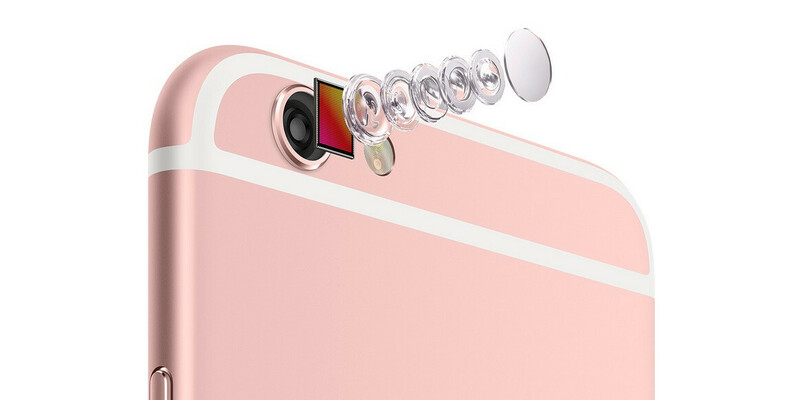 It will be up to the ones responsible for the camera algorithms at Apple to make the most out of the camera sensor. There's little that we know about them at this point, other than that they incorporate RGBW subpixel technology for better low-light performance. This technology uses an extra white (W) subpixel, arranged alongside the RGB sub-pixels, to compensate for the smaller-sized pixels in the sensor. We've seen a sensor of this type in action with the Huawei P8, and we came off pretty satisfied with the way it handled itself across different scenarios. However, RGBW itself didn't make for stand-out photographic performance in any regard. It will be up to the ones responsible for the camera algorithms at Apple to make the most out of the camera sensor. The Galaxy S6 edge+ boasts a 3000 mAh battery, one that turned out to be an endurance beast, powering the smartphone through 9 hours and 29 minutes of constant on-screen use in our battery test. 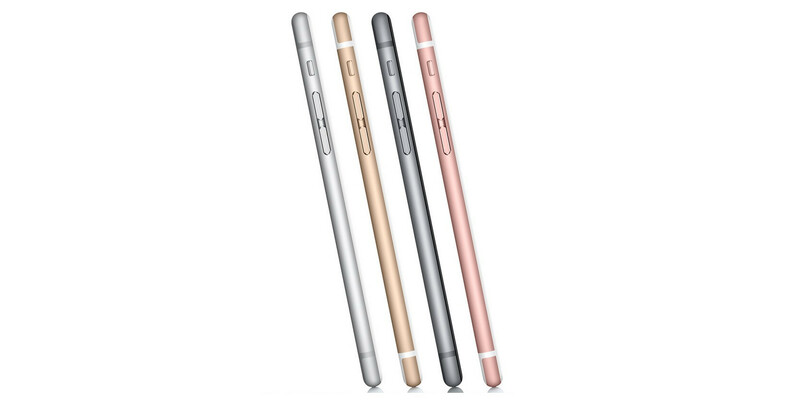 The iPhone 6s Plus has a battery in the same ballpark, at around 2900-3000mAh capacity. Its predecessor managed to rack up a score of 6 hours, 32 minutes, which is far from the Galaxy S6 edge+'s impressive result, but still decent for most people. In addition to its great battery life, the Galaxy S6 edge+ offers a very fast recharge time, too, taking only 80 minutes to go back to 100%! Moreover, the Galaxy S6 edge+ also features built-in wireless charging as an alternative for those who relish this method. The iPhone 6s Plus couldn't catch up to neither of these developments for some reason. Maybe Apple is being complacent. Maybe integrating fast charging or wireless charging comes at the expense of something else that's more valuable to the typical iPhone user. Only the gang at Cupertino knows, but regardless, fast charging tech is pretty high on our list of iPhone demands, and the same goes for any other up and coming expensive smartphone, actually! It will be a heated battle between the Samsung Galaxy S6 edge+ and the Apple iPhone 6s Plus, as both are in such close competition between each other. Both phablets have nothing but the best to offer to premium smartphone buyers in terms of design, display, hardware, and camera quality. Due to this, it will actually be more of a marketing and brand loyalty war between the devices, rather than a technological one. Needless to say, we'll be watching the war theater with great interest. I gotta admit, I'd rather have 3D touch, then a 2k screen any day. I'm on the fence with the 6S, until I can confirm the ram, but I'm loving 3D touch, and live photos is cool too. Nice update, but no extra ram, and a lack of full multitasking just might kill it for me. But, why do you love the 3D touch? The same features can be implemented with other forms of contact or gestures, and with better results too. The e-mail part where you hold down light for a bit, then after a few seconds it pops up anyway, I don't get how that is desired. In the hands on 'reviews' so far it just looks clumsy. Surely just setting up timers for these things would work out the same, and contact-slide gestures to do other stuff... It just seems a bit pointless atm, ya know? Not to me, I can find several practical used for it, and you're not forced to use it. how can compare with watermelon and hazelnut!!!! Hope you can manage with the magical 3D touch. I cross fingers. I hope you stop responding to my posts. It sounds good, just as the same thing did on android and other devices when it was announced, but it never took hold, long press on most devices is basically right click now a days, which is the same as iphone now has. However applying more force just isn't going to work in the long run, the reaction time seemed to be exactly the same as when other devices had it, and two quick clicks is generally better. Real world testing will tell us more bro. Let's reserve judgment till then. Fair? Well it has...been real world tested, which is my point. And it seems to be exactly the same, hold as a right click function and then some different attempts of presses. So yeah. The way they implemented 3D touch makes it look like long press! Not something to feel hyper about! S6 Edge Plus any day over this piece of crap. S6 edge with the poor Ram management and unreliable battery? Lol no thanks. I've had my Note 5 since the 22nd, and not one crash, not one ounce of lag, no reboots or anything negative. The phone is damn near perfect in its execution of tasks, and is an absolute joy to use. I've nailed the battery to the wall, and the lowest it's gotten during my 9 hr work day is 55%. My 6 plus after extra heavy usage gets to about 36-42%. 10 of 10 rating for the N5. Heard great things about it, but I only rock Samsung and Apple bro. I still don't get the battery thing - my friend's 6 Edge is terrible, she's done everything to optimise it that's recommended and last night (after working together all day and similar phone usage) she had to put it on charge around 7:30pm while my iP6 was on 68%. Either she has a dud or people just make things up! She's found it a step back from her S4 which itself had become pretty poor on battery life. Tell her to check wifi settings, and turn off always scanning, and auto connect to open networks. Have her go into location and select GPS only. Have her turn off the gestures she doesn't use. By default android comes with a lotta features turned on, while ios has them turned off. She just needs to do a little digging. Yeah that one might have issues. 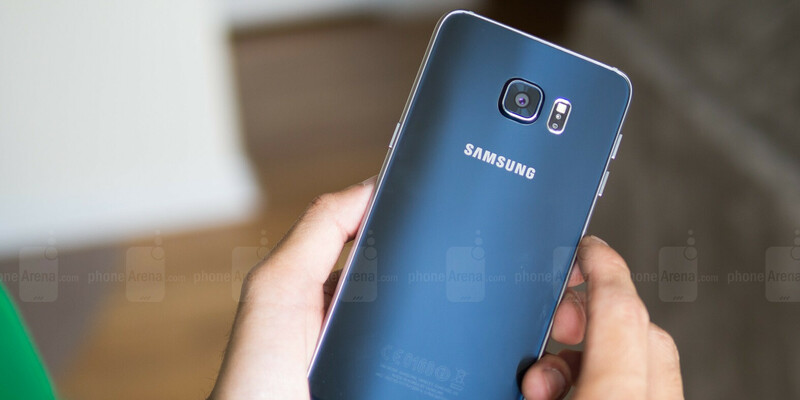 Would you mind telling us, what type of aluminium(or alloy) Galaxy S6 Edge Plus is made ?? And if it's weaker than your lovely new toy? Please! Thought it was glass on S6?